A look back at the past fifty years of The University of Kentucky's College of Dentistry. The Hive created this special video to be shown durring their 50 year anniversary celebration. Latino and Hispanic students, faculty and staff will have the opportunity to come together to build relationships and network with each other at the next event of the University of Kentucky 2012 Hispanic/Latino Heritage Month (H/LHM) Celebration. Passover has always been one of my favorite Jewish holidays. 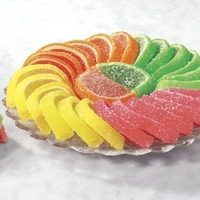 I remember going to my Bubbie’s (grandmother’s) house as a kid, and looking forward to eating the smorgasboard of sugary treats that she would have—my favorites were the red and yellow, candied half fruit slices.